Go Renovate Ltd - Central Heating Engineer, Plumber based in London, Greater London. 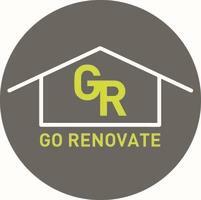 Go Renovate Limited provide first class property maintenance services in London and Surrey. Whether your boiler has stopped working or you have decided to upgrade it, our Gas Safe registered engineers can advise on the most cost effective/energy efficient option tailored for your needs. Smell Gas? Using our high tech equipment, we can detect a gas leak very quickly, protecting you and your family. Plumbing issues? Our experienced engineers will resolve the problem to get your home running smoothly again. We treat each property we manage as “our own”, delivering a quality finish to the job. Our goal is to give the client peace of mind by providing an exceptional service so that the project is managed to the owner's expectations. Contact us now for a booking or a free no obligation quotation.